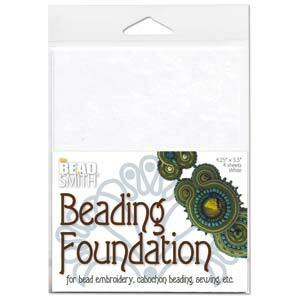 Beadsmith Beading Foundation is a stiff material used for bead embroidery, cabochon beadwork, even sewing. It maintains it shape yet is easy to stitch through. You can bead right up to the edge. Washable and shrink resistant. If you need speciality colors it can be dyed, painted or marked with permanent markers.